This mod performs the functions of a real car radar-detector Stinger in the game. He notifies about the approach to the speed cameras and the appearance of police patrols nearby. Voice notification is taken from the original Stinger S500 firmware. In addition, the mod still performs anti-radar functions, not allowing the police and cameras to detect your speed. The penalty for speeding is always 0 EUR. Well, of course in the fashion there is a new add-on radar detector, which is installed in the corner of the windshield on the same dumis as the default navigator. 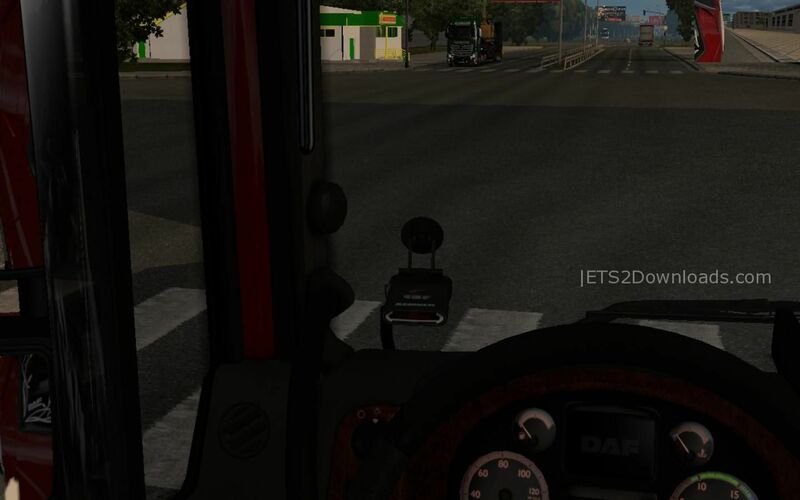 The addon is registered to all default tractors, as well as to many popular truck modes such as RJL, Harven, Kamaz 6460 by Koral, practically to all MAZ truck’s, MAN by MADSters, Volvo VNL by Aradeth, Iveco 190-38, Freightliner Coronado. NOTE!!! To use this mod, you must place this one at highest priority in mod manager.